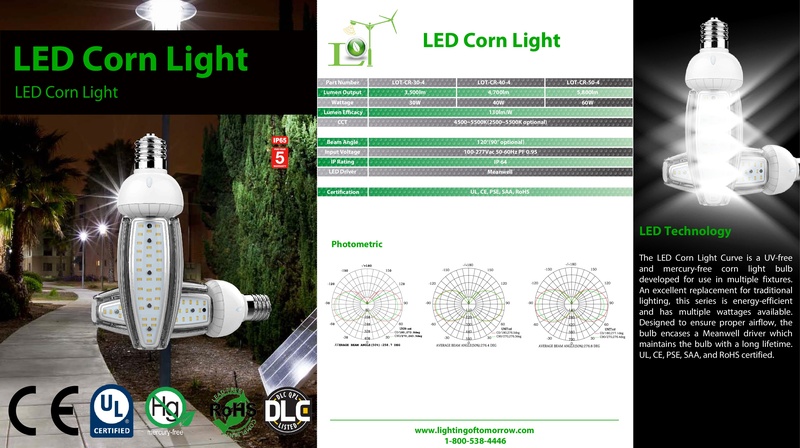 The LED Corn Light Curve is a UV-free and mercury-free corn light bulb developed for use in multiple fixtures. An excellent replacement for traditional lighting, this series is energy-efficient and has multiple wattages available. Designed to ensure proper airflow, the bulb encases a Meanwell driver which maintains the bulb with a long lifetime. UL, CE, PSE, SAA, and RoHS certified.